I've complained before about the slowness of New Falcon, Robert Anton Wilson's most prolific publisher, in making its books available as ebooks, but it looks like the book company is making progress. 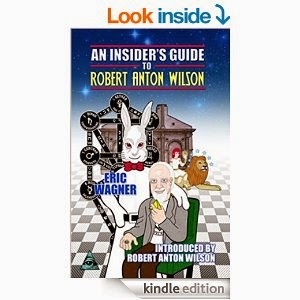 Eric Wagner's An Insider's Guide to Robert Anton Wilson has become available as a Kindle. Moreover, the $3.99 Kindle price is a considerable savings over the $16.31 price for the paperback. Of course, you don't need a Kindle to read a Kindle-format book — Amazon offers free Kindle apps for smartphones, tablets, computers etc. I don't see any sign yet that any additional Robert Anton Wilson books have become available as ebooks, but perhaps that will follow.